(Reuters) – China’s commerce ministry said a U.S. decision to subsidize renewable energy firms and impose tariffs on imported products has seriously distorted the global market and harmed China’s interests, firing the latest shot in a broader trade conflict. China has lodged a complaint to the World Trade Organisation to help determine the legality of the U.S. policies, saying they not only harm China’s rights but also undermine the WTO’s authority, the ministry said on its website late on Tuesday. (www.mofcom.gov.cn). Washington announced in January that it was imposing what it called safeguard tariffs over four years – with a 30 percent tariff in the first year reduced gradually to 15 percent in year four. “As the U.S. violations have severely distorted the global market for products like photovoltaics and seriously damaged China’s trade interests, China’s use of the WTO dispute settlement mechanism is a necessary measure to safeguard its legitimate rights and interests and maintain multilateral trade rules,” the commerce ministry statement said. The move is not expected to have an immediate impact on China’s major solar manufacturers, including GCL (0451.HK), Jinko Solar (JKS.N) and Canadian Solar CSOQ.O, as their exposure to U.S. markets was reduced after earlier trade disputes. One Chinese executive, speaking on condition of anonymity, told Reuters that U.S. solar tariffs were a “sideshow” and had little effect on Chinese business. Peng Peng, a researcher with the China Renewable Energy Industry Association described the dispute as “a microcosm of the big trade spat”. “The solar problem has existed for years. I think China chose to bring it up in order to keep up the rhythm of the trade dispute,” she said. 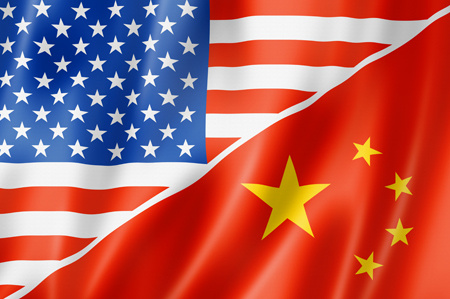 The United States has accused China of using subsidies and bulk manufacturing capacity to drive down prices and put U.S. competitors out of business in a range of sectors. According to figures from the China Photovoltaic Industry Association (CPIA), U.S. solar module production capacity fell from 1.5 gigawatts in 2011 to 1 GW last year as a result of bankruptcies. China claims its manufacturers have benefited not from direct subsidy but from a fierce competitive environment that has driven down costs. This year, its firms are facing a new wave of closures after the country’s state planning agency announced plans to cap new capacity at just 30 GW this year, down from a record 53 GW in 2017. Despite the policy shift, manufacturers have continued to ramp up production, with silicon wafer output up 39 percent in the first half. From January to May, exports of solar products also surged 21 percent year-on-year. Only a fraction went to the United States, with India the biggest market. “Solar is only a piece on the big trade chessboard,” said another Chinese solar executive, who also declined to be named. “I don’t think the complaint is necessarily a good thing for Chinese solar industry since it adds more uncertainties to the big (trade) war,” he added.